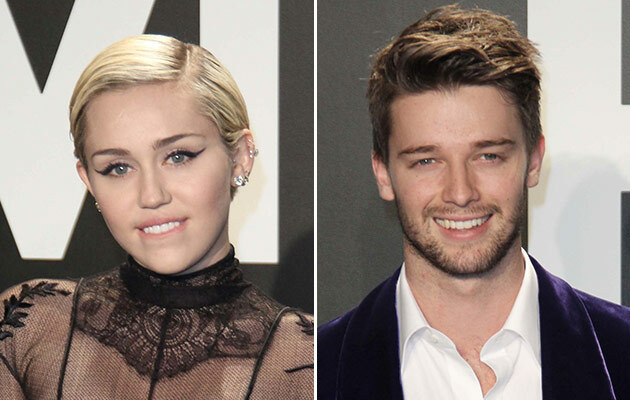 Miley Cyrus and Patrick Schwarzenegger had a low-key dinner at Kiwami in L.A. on March 23, which marked exactly one week after the photos of Patrick and his “wild” spring break surfaced online. Patrick Schwarzenegger was photographed doing body shots off a bikini-clad girl in Mexico, in addition to embracing a Kappa Kappa Gamma sorority sister in a, shall we say, inappropriate way. Miley and Patrick had dinner alone at the sushi joint, according to a source, but that doesn’t mean all is forgotten. Miley’s friend told Us Magazine, “She’s not happy with him,” soon after the photos were revealed, and that he is “currently on probation” with his girlfriend. According to a source close to the 21-year-old Kennedy descendant, Patrick has been trying to track down Miley and see her in person to explain, but she’s traveling a lot, hitting clubs from Las Vegas to Austin, Texas.